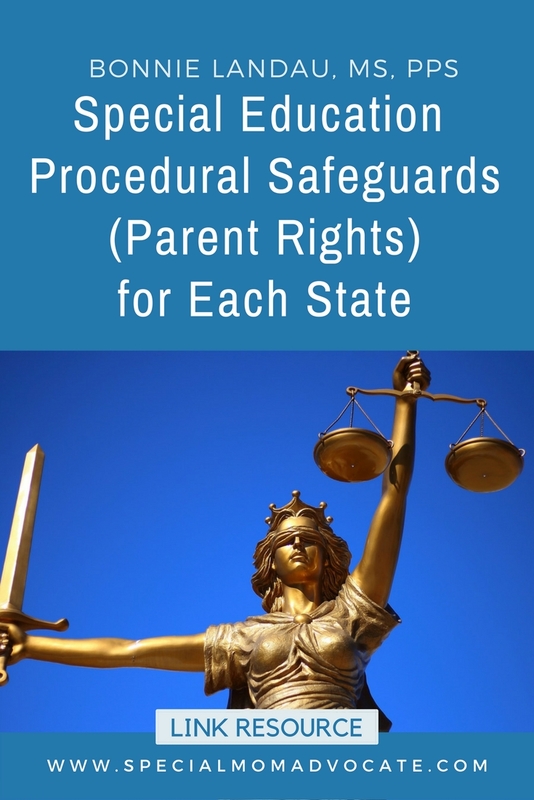 Procedural Safeguards, sometimes called Parent Rights, are the laws each state has implemented in order to ensure compliance with IDEA (Individuals with Disabilities Education Act). While the Federal Government establishes laws for special education through the IDEA, it does not always provide specifics on how to implement the laws. That is where the states come in. They can further expand on the details of how and when the laws are implemented, and that is written up in the state’s Procedural Safeguards. Sometimes they are called Parent Rights, and the law requires the IEP team to give you a copy at the start of EVERY IEP meeting. 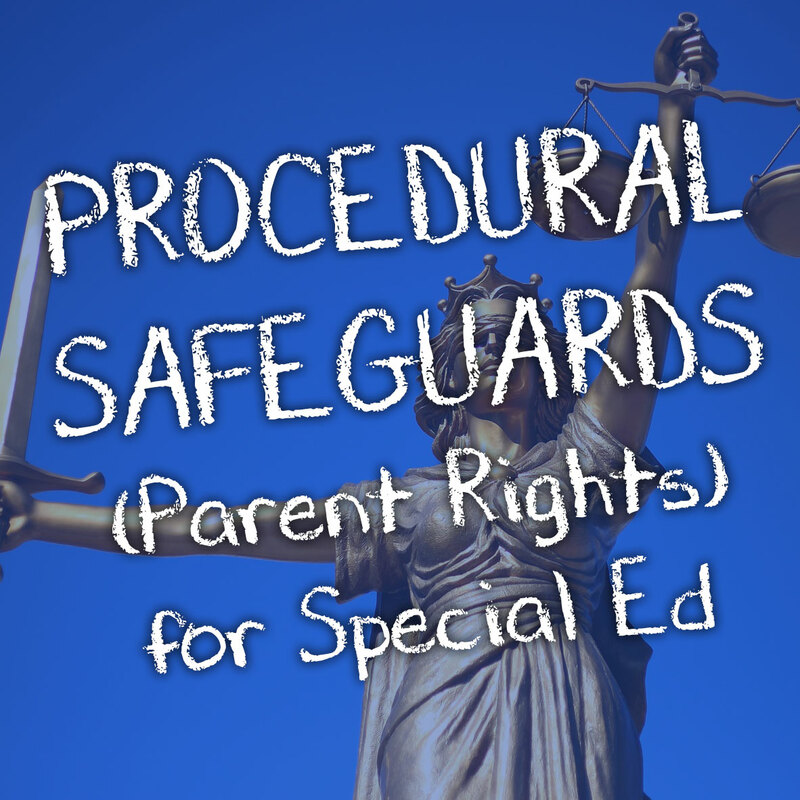 It is important to review the Parent Rights to ensure you know what procedures are available to you when working to get your child special education support in school. By reviewing them you become aware of any gaps in your knowledge which then you can research and catch up on. The following list provides direct links to the Procedural Safeguards for each state. This was compiled in December 2017. States often change their websites. If you find a link is not working, or does not lead to the right information, please contact me so I can correct it. Thanks!